In the aftermath of one of the worst school shootings in U.S. history, the residents of Parkland in Broward County have taken pride in the resilience and unity that they have demonstrated as a community. 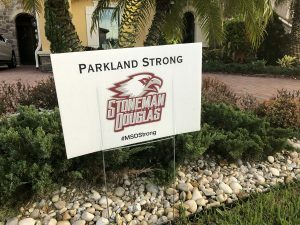 Memorials and messages of support were placed throughout the neighborhoods and enclaves surrounding Marjory Stoneman Douglas High School, and signs reading “Parkland Strong” and “#MSDStrong” became ubiquitous. 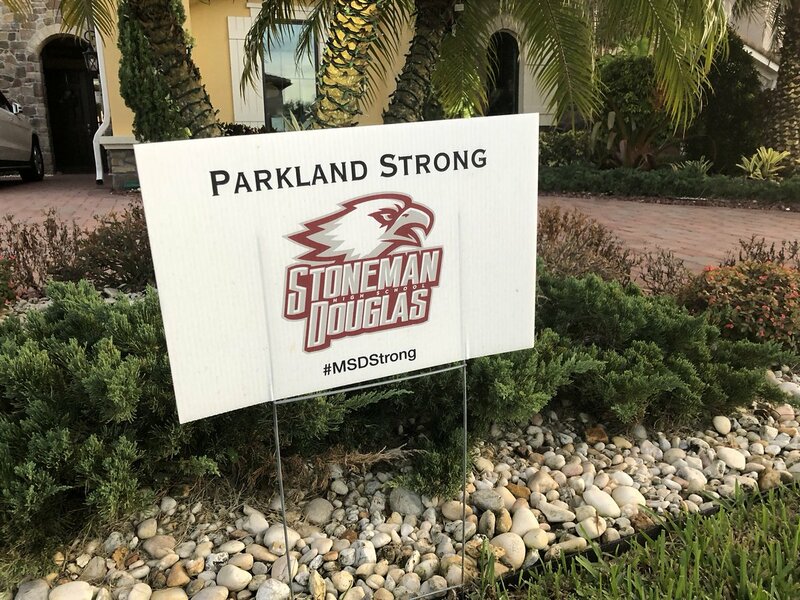 However, at the home of Donna Ali, whose daughter is a student at the high school, the Parkland Golf & Country Club HOA had requested that her “Parkland Strong” yard sign as well as those of some of her neighbors should be removed. According to a report by WPLG-ABC Channel 10, the HOA sent an email to residents reading: “In keeping with the memorial plans, the community relations committee is asking residents that have shown solidarity with the MSD family by placing memorials in their yard to take them down by Nov. 15.” The community is apparently working on installing a permanent memorial, which is expected to be completed by February. The HOA’s quick response to the media attention and its effort to mitigate the damage by revoking its request and allowing the yard signs to stay should be applauded. However, community association boards may find it difficult to balance their desire to empathize with residents seeking to commemorate a community-wide trying moment with their obligation to enforce the provisions of their governing documents. Such occasions should occur sparingly and in pursuing similar efforts, community association board members should work with qualified community association legal counsel to carefully communicate to the residents and owners the basis and duration for any departures from the restrictions. In this situation, once the community’s memorial is set in place, the board will likely need to explain to the homeowners that the association’s rules must be fairly and uniformly applied in order for the board to be effective in maintaining the property values for all of the community’s owners. Other associations finding themselves in similar straits, for instance, with the requested removal of yard signs should consult with qualified and experienced community association counsel in order to find a middle ground that would appease the interests of both sides. Perhaps limiting the size of the signs, the timeframe during which they may be displayed in the aftermath of incidents, and their placement near the front porches of homes could enable association boards to enact rules conceding some limited use of signs. Compromises such as these may enable associations to avoid confrontations while still maintaining an adequate level of civility, compassion and control over the enforcement of their rules and restrictions. Click here to watch the complete report in the TV station’s website.